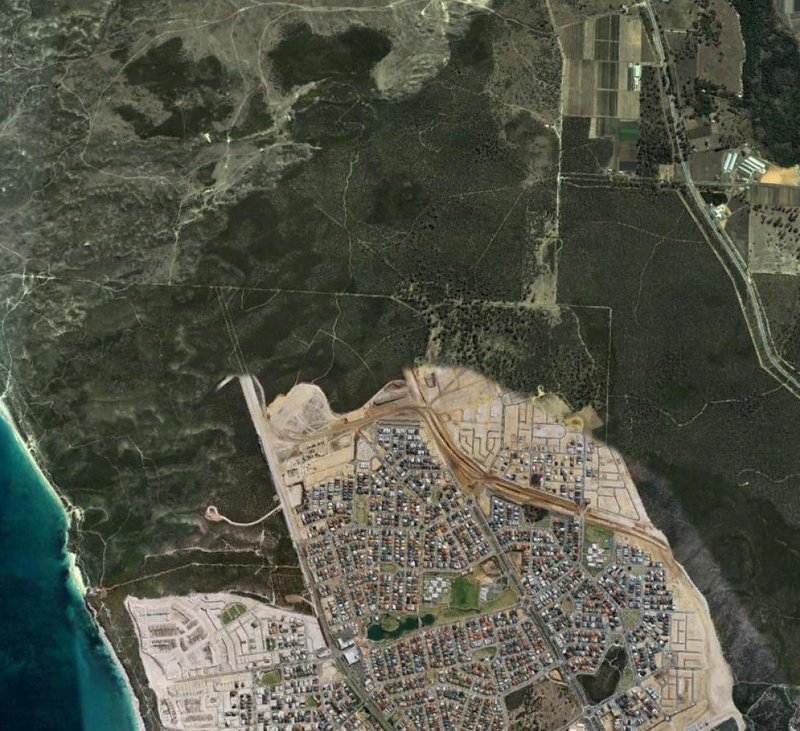 Urban sprawl chipping away at native vegetation on the Swan Coastal Plain, WA (Google Earth). From Garrard et al. (2015) Offset policies don’t work So maybe we should be weighing up the alternatives. Market-based instruments (MBI) are a class of environmental policy tool that create financial motivation for landowners to alter environmental management practices on their land. Recently, an abundance of new tools has emerged, with two broad objectives: (1) providing incentive for improved environmental management (eg. payment for ecosystem services and reverse auctions) and (2) reducing vegetation loss via biodiversity banking and offset schemes. MBIs are fast becoming the policy instruments of choice for biodiversity management in Australia and around the world. The policy imperative together with the challenging social, economic and ecological issues encountered when implementing MBIs offers a rich field of scientific investigation. Some research around the ethics of offsetting nature (eg, Ives CD, Bekessy SA. The ethics of offsetting biodiversity, in review). 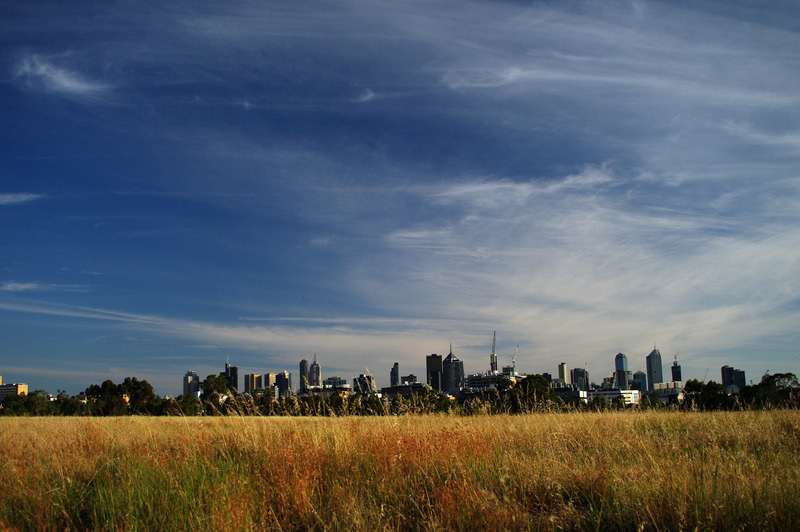 Inner city grasslands provide habitat for hundreds of insect and spider species. Royal Park, Melbourne, Australia. Urban biodiversity weaves through the fragmented landscapes of our towns and cities. Biodiversity is inherently important and a key contributor to human and environmental health. Yet urbanisation is a major driver of biodiversity loss. In the ICSRG we work toward building a better understanding of urban socio-ecosystems, their dynamics, and opportunities to improve their health. We study the human-nature interface to evaluate and develop strategies for the conservation of urban biodiversity and enrichment of human life through involvement with nature. We focus on ways to contribute to environmental decision-making, planning and community engagement. The National Environmental Science Programme – Clean Air and Urban Landscapes hub (NESP-CAUL), a long-term commitment to environment and climate research from the Australian Government’s Department of the Environment. A Myer Foundation grant titled ‘Reimaging the Suburb: Planning for biodiversity in the urban fringe’ that seeks to identify methods for improving prospects for grassland conservation within housing developments whilst investigating urban development scenarios that mitigate impacts on existing grasslands and at the same time lead to greener, more sustainable suburbs. A City of Melbourne – RMIT University cofunded project titled ‘The little things that run the city’ that aims to document and map the insect and spider biodiversity of public urban green spaces within the boundaries of a highly urbanised and populated inner city jurisdiction (The City of Melbourne) whilst assessing the ecosystem services they provide to people. To be most effective, conservation decisions and action need to take into account people’s values, biases and behaviour. The ICSRG is interested in measuring environmental values, attitudes and biases in a reliable way that allows for their inclusion in quantitative decision models. This is interdisciplinary research, where social psychology and behavioural economics meet ecological modeling and conservation decision analysis. Will accounting for people’s often-perverse reactions to financial incentives improve the predictive accuracy of models that forecast outcomes of conservation schemes (e.g., market-based instruments)? Question framing can dramatically alter measures of environmental values: how do we best interpret and apply that knowledge? Are there unforeseen implications of the current Ecosystem Services approach to conservation? Might an economic frame eventually ‘crowd out’ more intrinsic and lasting motivations for behaviour change? The goal of environmental decision science is to drive more efficient environmental management, for example, determining how to best distribute finite environmental budgets. The discipline of environmental decision science has matured rapidly over the past decade, with Australia establishing global leadership, through the ARC Centre of Excellence for Environmental Decisions (CEED) and other centres. Our decision science research has a significant impact on practice in governments and NGOs. Of course, there are many more national and international environmental policy and management decisions to come and these will demand increased investments in decision science research. Conserving species and ecosystems on private land is increasingly recognised as important not only for its ecological benefits, but also for economic and social reasons. The key to private land conservation is motivating and enabling private landholders to get involved in conservation activities, and keeping them involved over time, in ways that benefit nature. Our research takes an interdisciplinary approach to understand the interactions between the ecological, social and economic factors that deliver conservation on private land. School and community-based environmental education programs are important for promoting knowledge, behaviour and attitudes towards conservation. Yet measuring the outcomes from these programs is difficult, as they typically incorporate both tangible and intangible benefits, and thus how environmental education actually contributes to the conservation of biodiversity is not well understood. Our research takes an interdisciplinary approach to understand the effectiveness of these programs with a focus on improving their future implementation.